Freeport Lodging Specials – Fall Freedom! There’s no better way to celebrate fall and the freedom we enjoy here in the US than with a Maine coast vacation made all the easier with Brewster House Bed & Breakfast’s Freeport lodging specials! There’s no more denying it: summer is long gone and soon we’ll be into the holiday season, then – ulk! – 2016! Before we fly off the handle into next year, however, there’s still time to squeeze some fun out of what’s left of 2015 – and that’s plenty! Autumn is a beautiful time of year to enjoy the Maine coast and we here at Brewster House Bed & Breakfast like to facilitate that with a couple of seasonal Freeport lodging specials. The first, in observation of Veterans Day, is our Fall Freedom Package, offered with solemn pride and thankfulness for those who have given of themselves in service of our great country. Veterans Day falls on Wednesday, November 11th this year and, instead of offering a “serviceman’s discount,” Brewster House Bed & Breakfast is giving all 7 of our inn’s rooms away to vets on Veterans Day. This offer includes one day’s stay – check-in on 11/11/2015 – plus our gourmet breakfast. Yes, you read that right: we are giving the rooms to veterans on Veterans Day. All you need do is call us if you want to take advantage of this veteran’s special (our online calendar shows our rooms blocked for that date). It’s just Brewster House Bed & Breakfast’s way of saying: Thank you! Our second Freeport lodging special for autumn is our Fall Shopping Package: 3 nights for the price of 2! Available from November 1st to November 24th, the Brewster House Bed & Breakfast Fall Shopping Package gives you the opportunity to get away and save with an early start to your Christmas shopping or to explore the Maine coast after the summer crowds have gone. Book two consecutive nights at our regular (weekend) prices and the third consecutive night is on us at off-season rates! 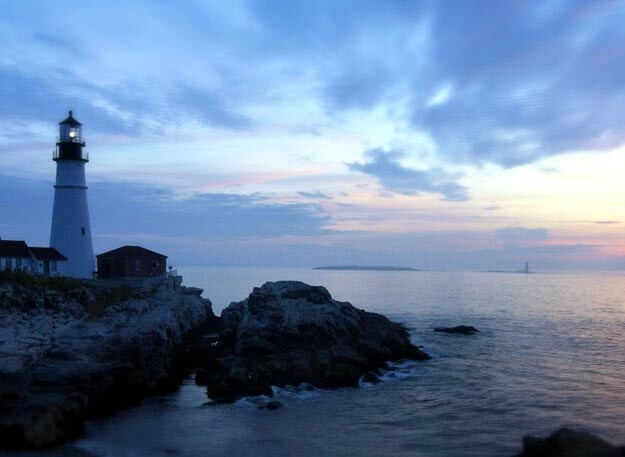 Located on the north shore of beautiful Casco Bay, Freeport is well known for its rich history, its wealth of recreational opportunities, excellent shopping, and world-class dining. Just minutes from the hustle and bustle of Portland as well as the scenic nature trails of Wolfe’s Neck Woods State Park, Freeport is a remarkable place to visit and live.